Also read: “The future of Democracy in Africa,” a complementary study looking out to 2070, building two scenarios for democracy on the continent. 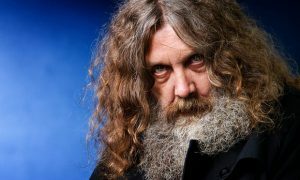 In November Cat Tully attended an interview with Alan Moore, author of Watchman, V for Vendetta and most recently Jerusalem at a Guardian Live event. You can listen to the podcast of this amazing conversation here. Missing, though, is Cat’s question about how the author plays with the concept of time in his works and also about if he is optimistic about the future. Given he is Cat’s favourite author, we are doing our best to bring him in as a guest speaker at SOIF2017. 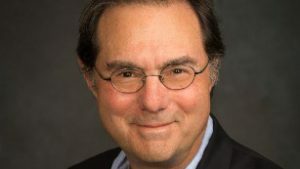 A former SOIF Retreat guest faculty member Michael F. Oppenheimer recently wrote an Op-ed for CNN about the future of Trump’s foreign policy team- “Trump team doomed to repeat Bush’s mistakes.” Here Michael goes though the foreign policy team that is being built and what repercussions it may have for the next four years and beyond. Finally another important reflection on the Trump victory comes from Pavel Atanasov and Regina Joseph, in their Washington Post Op-ed on why the forecasts got the Trump victory wrong. This article exhibits a small bit of the amazing work that Regina is doing, including on how to discern the weak signals from the noise around us. The article is titled,” Which election forecast was the most accurate? Or rather: the least wrong?“.